It’s Christmastime–the season of giving. Though many of us are charitable all year round, we are extra generous this time of year. We reflect on what we are grateful for then show this gratitude in the form of gift-giving. We donate last year’s coats to charity, give friends thoughtful gifts and drop off a little extra money here and there to the Salvation Army outside our favorite stores. Giving becomes second-nature around Christmas–a wonderful thing–but sometimes we give too much of ourselves and lose sight of what is important. So this year, give a little something to yourself and those closest to you by being aware of your own emotional and physical well-being around this sometimes stressful time. You are probably all too familiar with the stresses of the holidays. Endless hours are spent cooking, wrapping, cleaning and hosting only to do it all again the next day or night. Money gets tight, travel gets increasingly difficult and before we know it, we can’t wait for it all to be over. With the increase of stress, our bodies and minds suffer, which isn’t ideal when it comes to the most wonderful time of the year! Here are some ways to give some much-needed breaks to yourself this year. This one might seem out of your control (and sometimes it is), but try and have a tight grip on your own schedule this year. Don’t overbook yourself (and your family!) with hours upon hours of gifting, visiting, and traveling. Kids get tired, you get tired and it’s hard to enjoy the festivities when you’re spread too thin. Step back, make a strategy and stick to it. Don’t be afraid to tell someone that the day they have in mind doesn’t work–request days that you know will be easier for you and your family. Of course, sometimes you have to be a little selfless regarding schedules, but trust me, it’s worth the extra negotiation. 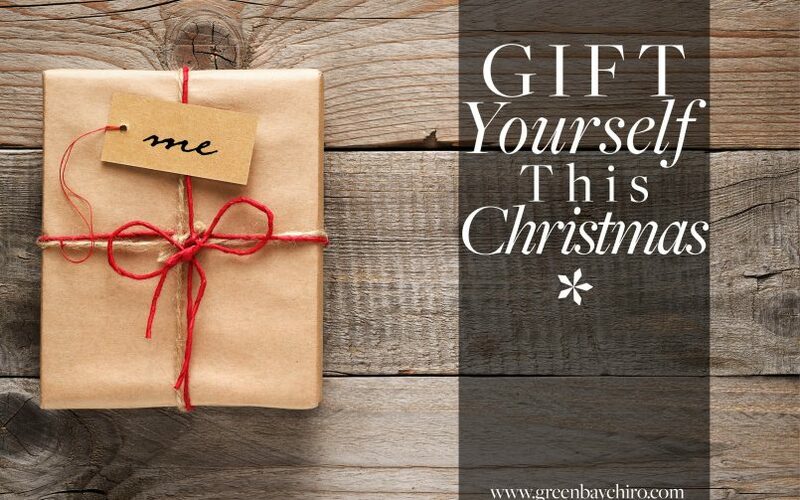 Gifting yourself time also applies to the week leading up to Christmas; wrap gifts early, don’t put off grocery shopping and prepare food ingredients ahead of time. No one likes rushing around the last minute. Set aside time for yourself this holiday season, whether it is Christmas Eve morning at your favorite cafe or a massage scheduled the week after Christmas, have something scheduled just for you. Again, sometimes our schedules are difficult to control, but if you pencil in an hour or so just to unwind, you won’t regret it. We are in control of our own emotions and stress management, but it’s hard to prevent unintentional stress and tension if you don’t plan ahead or don’t see it coming. The best form of stress management is prevention; focus on yourself, be aware of your feelings, and have an outlet. Speaking of an outlet for stress, nothing beats the tension of Christmastime like an old fashioned workout. You may think you’re too busy this time of year to fit in that gym time, but it could quite possibly be your best decision to devote a little time to your fitness this Christmas. The endorphin rush will combat stress, you’ll have extra energy and you won’t feel as guilty enjoying holiday treats. It’s a win all around. Plus, exercising a little extra this time of year really helps to prevent injury while shoveling and otherwise removing snow. There’s nothing like an injury to dampen your holiday spirits, and regular exercise can go a long way in helping prevent that. The higher consumption of sugars, carbs, and fats around the holidays does little to help your mood or well-being. In fact, it is detrimental to your spirits and ability to manage stress. When you have poor nutrition, you are far more prone to stress, injury and fatigue than when you pay attention to what you put in your body. Of course, many of us look at this time as the time to indulge a little (and it can be!) but remember to allow yourself everything in moderation. So while you may think that limiting your treat intake is too harsh, it actually is a gift to yourself. You’ll be in a better mood, have more energy and be more patient with everyone around you. Plus, if you pick and choose which foods are really worth it, you’ll be able to savor them more. All of these gifts to yourself will not only make your Christmas better, but will affect those around you, too. Stress is contagious, but so is joy! By gifting yourself this season, you gift your loved ones, too.